Need to get one of the best iPhone 4S cases? Having one of the best iPhone 4 cases may help you keep your iPhone 4 or iPhone 4S safe from accidental drops where it is very vulnerable. Most good quality cases will save the fragile device from shattering when dropped and if you spend some time looking you can find cases that look good. I personally have cracked the front screen on two iPhones, and I now prefer to use a case (preventing direct impact from the sides and the corners) and screen film to avoid the most harmless drops to have fatal results. The iPhone itself features a stunning design and it is partly about style and looking right. So putting it onto a case may feel wrong and like hiding a treasure. However, you can get both minimal and transparent cases as well as cool looking designs, keeping the iPhone look and feel intact. Finding the right case for you clearly depends on personal taste, so take your time and look around as much as possible. In this article we have collected some of the best iPhone cases available right now and categorized them depending in the version compatibility. This post is kept up to date on a regular basis. Keep in mind that iPhone cases does not fit all versions. The latest iPhone 4S have introduced minimal changed that break compatibility with most older iPhone 4 Cases. If you are still using an iPhone 3 the cases here will not work. I recommend that you look for dedicated iPhone 3gs Cases. We also recently covered some really fresh iPhone 5 cases in case you are considering to buy this top gadget! Finally, other accessories like cool iPhone speakers may also help you get the most out of your iPhone investment. Since iPhone 4S has now been available for some time I decided to update this article with a collection of some cool iPhone 4S cases. 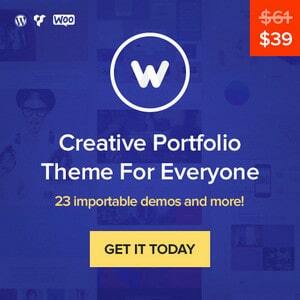 The resource is divided into two sections to give you quick and easy access to the right cases. Remember iPhone 4S have a slightly different layout and will not fit all old iPhone 4 cases. Some cases also have been designed to fit both phones. Some iPhone 4 case vendors have designed their cases to work with both iPhone 4 generations. This is the kind of iPhone cases you should be looking for if you are not sure what iPhone 4 model you have or if you have an iPhone 4 and is planning to upgrade to an iPhone 4S soon. ElementCASE Vapor Pro is one of the most high-end cases. Its list of features sounds like something out of a science fiction film, with aerospace polymer RF insert to prevent signal loss, black ultra suede backing and an electrolyte coating to protect from abrasion all mentioned. The most popular ranges of iPhone 4 case – and indeed of all phone cases in general, as the Case-Mate Barely There is available for a massive variety of handsets across the board. The benefit of these is in the name, really – you can hardly tell that they’re there, due to their minimal bulk and slim plastic. Keep the iPhone 4/4S safe and protected in style with the S4 Slim Fit Case. Unique design allows easy access to all buttons, controls and ports without having to remove the case. Polyurethane coated to protect from scratches and for better grip, Product designed by elago in California and Made in Korea. The Vapor Pro case has been around for some time as a high end and very popular product. Not it comes in more colors and while some think it is too heavy and may have functional disadvantages it is one of the best looking cases around. Brilliant white acrylic urethane hot rod paint. CNC machined from a solid block of aircraft grade aluminum. Includes anti-glare screen protector, Vapor Transit Kit and Ultrasuede Earpad. This case is build as a combination of polycarbonate and silicone. The case part is made of silicone, which gently protects the iPhone 4 4S from scratches and impact. The headphone jack and charging port are covered with silicone, which prevent dusts from entering into the ports, and when you want to use the ports, simply slip the silicone parts open. On the top of the silicone case is a removable polycarbonate cover that sprayed with rubber coat, which is anti-fingerprint, dust proof, and provides a comfortable grip. The side of the case is slightly higher than the iPhone4 screen, so the case can not only protect the side of your iPhone 4 4S, but also your screen. The BoxWave case with in-built physical iPhone 4 keyboard. 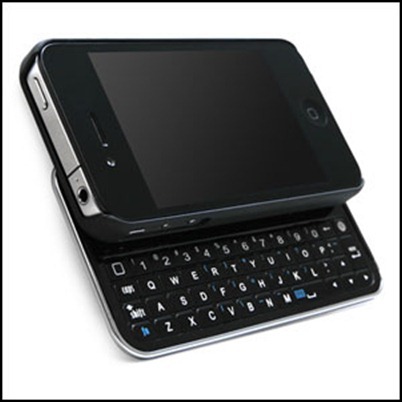 At first glance just a normal iPhone 4 case, the BoxWave slides out smoothly to reveal a full QWERTY keyboard that pairs automatically with your device via Bluetooth – so you can choose between whether to use that or the on-screen keyboard. The case also has a built-in battery which charges over mini USB, so it won’t leech any power from your iPhone 4 battery. You’re lucky these days if your phone even lasts the whole day through. 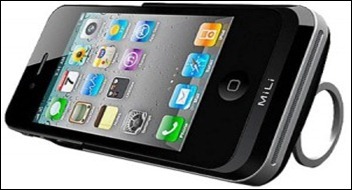 So an external iPhone 4 extended battery can provide a much-needed extra boost, and the MiLi Power Pack gives you a whopping extra 3000mAh. You just slide your phone in and the external battery pack will charge it up. The PowerPack also has a built-in iPhone 4 stand which is fantastic for propping your phone up and watching videos on the train or sharing photo galleries. boostcase Hybrid is an extended battery for the iPhone 4 and 4S made up of a unique two-piece design: a minimal slim-fit and lightweight protective case that can stay on the iPhone at all times and an optional snap-on extended battery pack. The ergonomic shape is very sleek, light, and of course, beautiful. This case is anti-dirt and has a super wear resistance, can protect your iPhone 4 from being scratched effectively. This case is ultra light, and made of strong polymer. It protects the critical areas (corners, back, etc.) and gives good protection. 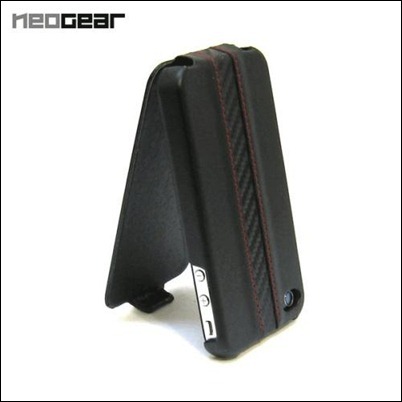 Black and elegant BOOST case for your Iphone 4. 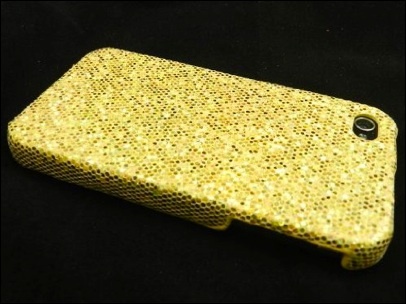 This is a hard sparkles case cover for your iPhone 4 device. Fits both AT&T & Verizon models of the iPhone 4. It will protect it from scractches while also bringing it to life with some color! This case only covers the back and does not cover the iPhone screen. 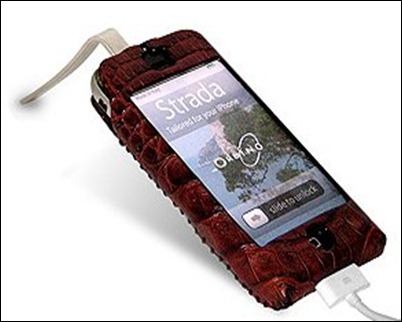 The iPhone 4 Case Horizontal Hipster is handcrafted from top grade Italian leather of high quality. The leather is wrapped around a molded impact resistant shell to protect your iPhone even if it drops. For maximum protection, the iPhone 4 Case Horizontal Hipster can be affixed too your belt with a belt clip so that you can carry your iPhone on your belt. Other features of this form-fit protector include screen protection and leather magnetic flap to secure your iPhone and provide easy access. Good secure case. There is an audible “click” when the case is secured. It does not slide apart easily. It allows you to access all of your Apple iPhone 4 and 4S features such as cameras, screen, charging port, and volume control. This case is a great value, and works well, provided you don’t use a 3rd-party sync cable or headphone plug. Crafted from only the finest quality leather, this case boasts a protective aluminum plate lining that will protect your iPhone from even the toughest of bangs and crashes. iPhone 4 case has every little bit of that romantic, old-fashioned feel that you might adore about a Moleskine notebook. But at the same time, it’ll keep your iPhone 4 safe and somewhat disguised. Designed for the most common problem with hand-held phones…dropping them! The grip provided by the (faux) leather means that it won’t slip out of your hand at an awkward bump in the road and the gaps left for the iPhone’s camera and volume control buttons mean that the functionality of the iPhone is not affected by its new protector. 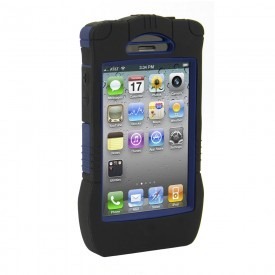 Tough, high impact hard case in black for the Apple iPhone 4. Fits Verizon and AT&T versions. This case has been designed to custom fit the Apple iPhone 4 and 4S. This case will provide tough protection while keeping your iPhone looking professional and eye-catching. 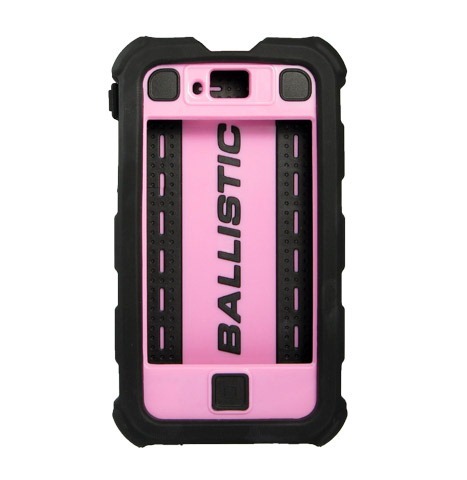 Made from durable polycarbonate, this case will not crack, split, or shatter. It has enough traction to provide a comfortable grip, but it won’t stick to your pocket or collect lint. All of the iPhone’s features are accessible with all of the custom molded access ports to make sure you can use your camera, volume control, dock, and screen unobstructed. It’s simple to install this case with the two-piece Glider system. The SILICRYLIC is a cool two-part carrying case for the new iPhone 4. A silicone core wraps the new iPod touch to provide shock-absorbing protection while the impact resistant hard-shell shields the corners and back. 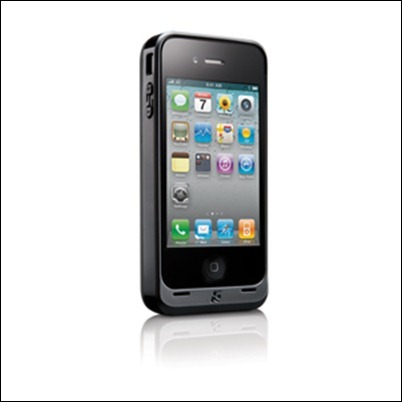 The SILICRYLIC offers good protection, comfort as well as easy access to all your iPhone 4s features. 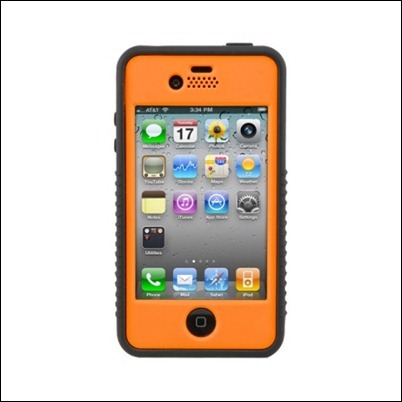 The OtterBox Impact Series is a durable silicone skin, brilliantly engineered with inner coring to dissipate shock away from your iPhone 4. Made of durable rubber and molded plastic, the two-tone iPhone 4 Bumper fits snugly around the edges of your iPhone 4 and gives it a splash of beautiful color. Be the envy of all your friends with the most personalized and stylish iPhone 4 on the block. The case covers up just about everything that needs to be covered on your phone. The home button and volume buttons are also covered, but give you access to them by pressing on the case itself in the designated areas. With the Otterbox Defender Series case on your iPhone, you’ve basically got everything covered except the screen, cameras and flash, earpiece, microphone and speakers and the proximity sensors and ambient light sensor. Otherwise, it’s like having your iPhone 4 encased in an impenetrable tank. The Speck ToughSkin case for the iPhone 4 is another heavy-duty protection solution for your device. It feels like a tank, and it even looks like something the military would use in warfare. The case itself offers a lot of shock protection, and it doesn’t look like anything short of a swinging sword will be able to scratch your iPhone 4 when wearing this case. The Mophie Juice Pack Plus is also very well built, and slides perfectly onto the iPhone 4. It offers great protection and coverage while leaving an opening for the camera, headset jack and the speakers/mic at the bottom of the phone. This case offers customization by allowing for the flexibility to stack six different colored pieces to your own preferences to create your own distinctive modern design. Red Silicone and Black Plastic Universal Defender Case. It is a case made out of rubber and possesses ‘double-strength’ in connection to resisting and absorbing high shock conditions and general rough use. All of you who are most of the times out of homes and keep yourselves busy in various sporting activities, Workmate is your savior. Anti-scratch, anti-glare clear PET screen protector will keep your screen from unsightly finger prints, smudges, and scratches; also moisture resistant with complete touch screen interactivity. The case comes with permanently attached dust filters over speaker and microphone bays to block even the most miniscule speck of debris. Audio and power jacks are both covered under the silicone skin with firm, removable plugs. Consider it a sibling of the Trident Kraken. For those of you who don’t want to go for a great deal of protection as offered by Trident Kraken, then Cyclops is the best option for them. As compared to Kraken, it is slimmer and is available in different colors in market. It is quite durable case also. Do you have one phone and multiple cases? Eliminate the need for two different cases with this convertible case. Put on the first layer, the Innocase II Surface, when using your phone everyday. When you’re in tough or rugged conditions put on the Rugged Skin and Skeleton and securely hold your phone wherever you go with our locking holster. When you don’t need the extra protection, simply remove the Rugged Skin and Skeleton. This combo includes the Ultimate Screen Guard, Innocase II Surface, a Rugged Skin and Skeleton and the Innocase Rugged holster. bad news for verizon Iphone 4 users, this case is not compatible. It is HULK for the mobile devices as it has got 4-layers of protection to offer you. The layers are soft and hard one. Both the screen and ports are equally protected and it is best suited for those who are working in rough and rugged ambience. A iPhone 4 Silicone Case can give good protection and typically quite cheap to get. More than just providing protection, the Kensington PowerGuard adds an extended-life battery to your iPhone 4, giving you an additional 4 hours talk, 5 hours video, and 22 hours of music, according to Kensington. Blade Bumper Case in Silver and Red. It also comes in multiple colors and has got a removable plastic cover for your phone that attaches to the back of the mobile device. It can be removed whenever you wish to. The LiveStrong iPhone 4 Case Barely There is designed for the spotty user who wants superior iPhone protection in an ultra thin case. The iPhone case is super thin and flexible with the ability to protect your iPhone from impact while still allowing full easy access to all features, ports and buttons. Specially moulded to fit your iPhone like a glove, the SecondSkin is flexible yet tough. This one is made up of finest Italian leather. It also gives you a screen protector and connector access. A iPhone 4 Leather Case looks more exclusive than silicone but typically you have to spend more. The Case-Mate Privacy iPhone 4 Case comes with a unique privacy screen that shields your iPhone 4 from onlookers and peepers. The privacy screen comes with crystal clear and high security viewing level. It can be set to horizontal and vertical with a 45 degree viewing angle. The screen protector does not make your screen hazy and leaves no residue on your screen. Easy to install features and its easy access to all iPhone ports and bottoms makes this case highly sought after. If you’re more jogger than blogger and more cyclist than typist, the Griffin Adidas Armband for iPhone 4 lets you hang on to your phone during even the more intense workout routines. That’s great for gym visits, when you don’t want to leave it in the changing rooms, and for when you’re out in the great outdoors or just biking to and from work. Works great for heavy outdoor activity and exercise, the Reflex-series gives you similar superior protection with much less bulk than the Defender. 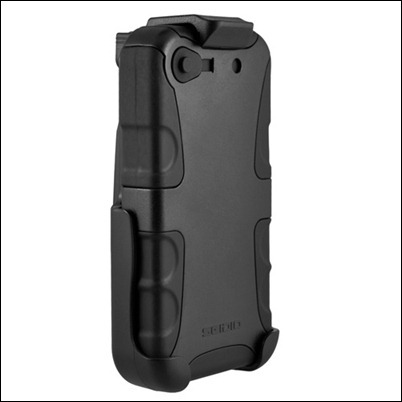 Defender Series Case with Holster. Dress up your iPhone 4 with an iPhone 4 Bumper. Just slip it around the edge of your iPhone 4. With metal buttons for volume and power, two-tone colors, and a combination of rubber and molded plastic, Bumpers add a touch of style to any iPhone 4. The cool wavy texture on this rubber casing reduces the chances of slipping your iPhone 4 out of your hand by providing a safe and secure grip. 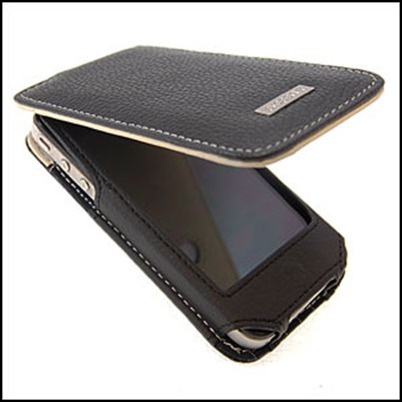 This iPhone 4 leather case by Alu is a flip case, a design which offers top protection as well as a very professional look and style. It’s made from high-quality, hand-crafted black leather with a contrasting cream pinstripe lining, giving you a case that’s both aesthetically and tactilely pleasing. The flip cover is aluminium-lined for strength, and has a secure closing-clasp, protecting the screen from scratches when you’re out and about. What about the griffin survivor ????? All the cases are awesome! It’s difficult to choose any single one. The cases match all age groups. I just got an Iphone4. I was told I need to purchase the otterbox, which is not on your list. 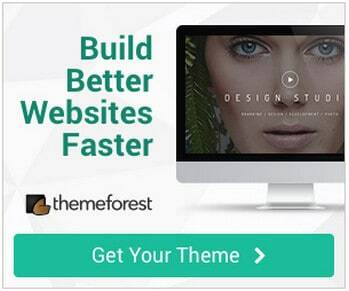 Does that mean there are options that are much better? I have noticed the reception problem from the first time I used the phone. 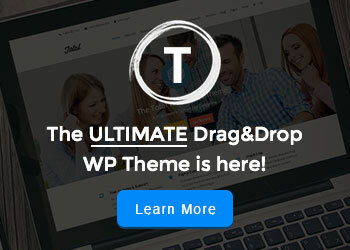 Hi Licia, this article contains a wide variety of the best selling and best ranking cases we could find while researching for this article. The fact that some products or manufactures aren’t represented doesn’t mean that their not good! Next time we update this article, we will take it into consideration to include Otterbox. I have Iskin revo 4 . It’s nice case…. Now i will try second skin case…. I went for the Lifeproof and find it lives up to it’s expectations +. Nice list, some of those cases look pretty sweet! Especially like the “Cleave”. This list doesn’t seem to consider the true functionality of the case, for example, I got the Cleave and it reduced my reception by 2 bars. You are right iPhone 4 had issues with reception. However I have experienced most problems from holding the phone directly in my hand. Where do I find prices if interested in ourchasing from you? i prefer a bumper in stead of a case. But nice list thx! I am surprised that all these lists don’t mention the Graft Concepts Leverage case. It’s the best looking case I have had so far. Now, if you are looking for something that is one-of-a-kind, glitzy, handcrafted, and luxurious, check out the pieces from http://ElegantlyUntamed.com/SHOWROOM. These are encrusted by contemporary and vintage Swarovski crystals, as well as vintage jewelry. Really a work of art. Who cares for LifeProof when you have BoxWave, I am going right now to see the cost on eBay, Was looking for something similar for along time. Hard to type SMS via iPhone. Why is it not on here?! Great list! I have to admit, I’m surprised the Lifeproof case didn’t make the cut— especially since the Defender series did. I am also suprised LifeProof and SwitchEasy not only did not make the list but did not make the top 2! highly disappointed!